Paper size: 30 x 43 cm. 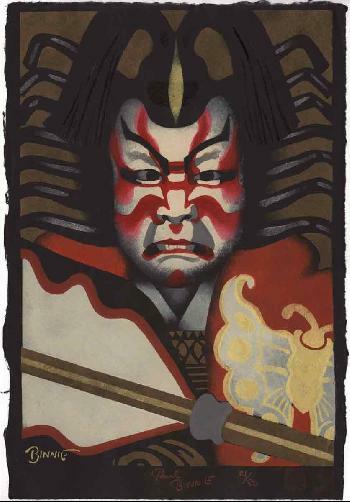 From the series Kabuki J?hachiban - The Famous 18 Plays, printed on black paper in an edition of 80 in October 1994. Fine impression, colours and condition. This is a stencil print (kappazuri-e), not a woodblock print.